Update: It appears Nintendo Australia made an error with the listed 3DS release dates and has now sent out an updated version of the newsletter. The 3DS section now reads, "Games coming for Nintendo 3DS" rather than the existing header which indicated a 2015 launch for all titles displayed, including the new Fire Emblem. Original story: While information about the new Fire Emblem game is still limited, Nintendo Australia has recently released what may be the first bit of news regarding the upcoming 3DS title following last week's Direct. In a digital newsletter to fans down under, Nintendo Australia teased a number of games coming to the 3DS in 2015, including the new Fire Emblem title. Alongside the likes of The Legend of Zelda: Majora's Mask 3D, Xenoblade Chronicles 3D and Code Name: S.T.E.A.M, Fire Emblem is tacked onto the end of the line-up with a 'TBC' notice. With Code Name: S.T.E.A.M scheduled for release on 16th May, should we be open to a western release of the latest Fire Emblem entry as early as June, or hold back our excitement until the latter half of this year after Japan's summer launch of the title? Although a 2015 release may have been expected given the timing of this game's announcement, if Nintendo Australia's placement of Fire Emblem within its newsletter proves to be anything more than filler material, it's comforting to know that presumably at least some fans in the West – if not all – will have their hands on this anticipated title before the year is out. The latest entry in the Fire Emblem series is created by the same core team at Intelligent Systems who were responsible for the sensational original release on the 3DS, Fire Emblem: Awakening. 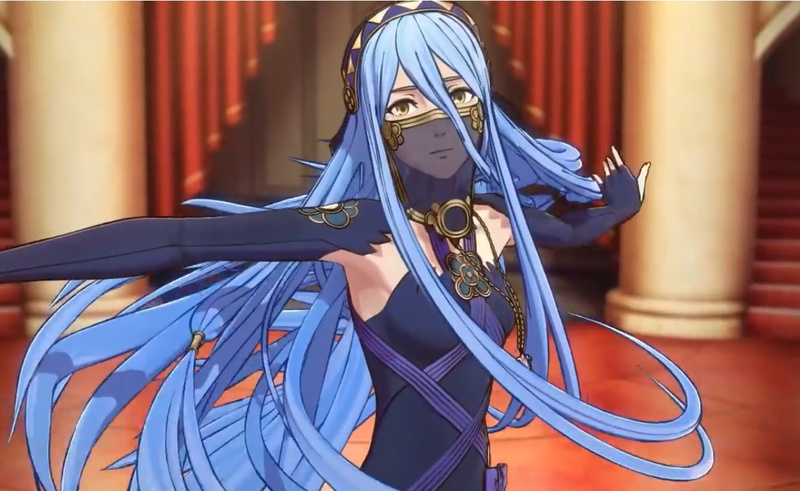 If you haven't already seen it, take a look at the trailer for the new Fire Emblem game from last week's Nintendo Direct, and let us know in the comments just how excited you are about this upcoming game. Can't wait! This is one of the few games that I played till the end within a week. I just read a news about someone putting AI into a Mario game, let's hope Nintendo takes note and make a self-aware Mario game next time! Anyway, I hope there'll be a Fire Emblem Direct in the coming months so they could show the NewFE along with the FExSMT on the Wii U. And if they port Path of Radiance and Radiant Dawn please be on the Wii U! It's expected to hit Japan this summer. Awakening had an 8 month gap between JP and NA releases. Given that the series has kind of exploded in popularity due to Awakening and Smash though, it's probably in IntSys and Nintendo's best interest to be working on a localization alongside the development to get it out sooner. It's fair enough to assume less than 8 months this time. So maaaaybe a holiday 2015 release. Summer 2015 in Japan = July-Sep, so even with a faster localization, a 2015 release might be a stretch. But still possible. I think Q4 is most likely here. Although I'd love for it to be released in Summer, I don't want Codename Steam to suffer which would be very likely given the May release in most places. What the- Madara Uchiha. Gtfo of there. I am betting latter part of the year personally. Somewhere in the August-October period. Otherwise, they will release it early next year like Awakening did, but I'm going to say we'll get it this year. I just hope it isn't exclusive to the New 3DS. Its official - I will have little or no social life this year haha! @BensonUii that is just the worst. @BensonUii Weren't there rumours that FExSMT was cancelled? Well! Guess my 3DS won't collect dust this year after all! HOLY CRAPOLLA!! Was I living under a rock? Where did this come from!!!!? Looking forward to playing the new Fire Emblem. I really enjoyed Fire Emblem Awakening a lot like many other people, but honestly I would probably get Code Name S.T.E.A.M. before I get this game. Really love how that game is looking. Here's hoping for 2015. Awakening is now my second favourite game of all time, so I'm looking forward to this. I wonder how specialty Fire Emblem is at this point. They could have this be a big deal for the holidays, but it might only be a big deal to a core group. Easily my most-anticipated 3DS game announced. @Vineleaf Well, Awakening got its own limited edition 3DS, plus a collector's edition with an art book and CD. I think there's a very high chance of the new Fire Emblem game getting both, but perhaps not for the holidays. Ah......I'm just gonna be salty and complain about the lack of FE for Wii U......I know this will probably be a great and I will buy it but I REALLY WANT A NEW HOME CONSOLE FIRE EMBLEM! I'm guessing this will be the 3ds holiday release over here in America. I don't want this, i want Shin Megami Tensei X Fire Emblem! Man the trailer for this game was SO misleading. It opens and I thought "holy crap, this looks like an awesome Wii U game" and THEN it pans out of the picture frame to reveal the lame dancing girl, downplayed line art graphics and yet another slow moving strategy RPG where every character's got blue hair. Congrats for the Fire Emblem fans i guess. I just can't get into it. What happened to SMTxFE? They just mentioned it at E3 (can't remember which one) and then nothing. I'm happy there is a new FE coming out for the 3DS but it would be fun to have something a bit different at some point. This looks just like Awakening. I'm excited for this game but I hope Nintendo or Intelligent Systems doesn't rush it to market. I rather prefer it to be good than mediocre. @Yrreiht SMTxFE was surely set to be the 2016 Club Nintendo Platinum reward. Cant`t wait to play it. Trailer was little odd, but I did like the game play video. I wonder why "dancing girl" lookt so sad. Yes! I hope it releases in July, but that might be pushing it. So hyped! I hope we get more info soon! Male Pegasus knight will be slightly odd! Can't wait! @audiobrainiac It was obvious that it was Fire Emblem related relatively early on. There was a clear shot of a Pegasus Knight, as well as a Swordmaster before it showed the dancing girl. The only question was whether or not it would be on Wii U or 3DS. At the end with the blue haired Dancer, what the heck are the other two classes of the dudes facing off?? Given that this game is using FE:A's graphics engine, the actual development shouldn't take long. The localization, however.... that'll be a doozy. Like others have mentioned, it's possible that localization will be sped up due to Awakening's popularity, but I don't see this game coming out this year unless it hits Japan in April-May. I was hoping for Fire Emblem 14 to be on the Wii U, but I can take another portable. I know a lot of people like having it on portable so they can play it on the go, but I always like to sit down and play for long periods of times whenever it comes to these RPGs anyway. @BensonUii link to full version plz. I think it is still on the way to the west this year. With it on the way so soon for Japan I don't think they would have put it in the direct unless it was this year for the west as well. I'm thinking either May or October. @BensonUii Freakin' HILARIOUS!! hahahahahhaah Thanks for that. I also hope for a Fire Emblem Direct. One of my favourite Nintendo franchises right after Zelda and in front of Pokémon and Metroid.